Mount Caburn hillfort (also known as the Caburn, Mount Caburn Camp, or just Caburn) is an Iron Age multivallate hillfort of around 4.3 acres (1.74 hectares). The entrance is in the north east rampart, and is formed from the inturned, massively built rampart terminals. The east, west and southern sides are naturally protected by steep slopes, and are comparatively lightly fortified when compared with the banks and ditches that protect the northern approaches. Curwen, writing in the late 1920s, suggested that Caburn started life as an open settlement which was enclosed at some point in the Middle Iron Age, then re-fortified just before the Roman Invasion, then perhaps remodelled during the Saxon period, and then finally refortified during the Anarchy in the 12th century (1). The current sequence of events is a little different – it was thought to have originated as a late Bronze Age/Early Iron Age settlement which was converted to a palisaded enclosure, then heavily fortified during the Middle Iron Age, with the later outer ditch now being pushed off into a less specific ‘Medieval period’ (2). In 1941 as many as 10 slit trenches were dug in and around the hillfort – the details and some reconstructions are available from Peter Hibbs’ The Defence of East Sussex Project website. There are around 170 depressions visible in the interior of Caburn. The Curwens, working here in the 1920s, excavated 99 of them and discovered that the majority could be dated to the Iron Age. In the context of a hillfort setting, pits like these are usually interpreted as storage for seed grain, as these undoubtedly were. And like storage pits elsewhere, they were often filled with the detritus of everyday existence when the end of their useful life had been reached (see also Iron Age Grain Storage Pits). However, it has also been suggested that they may have acted as repositories for more ritually significant artefacts: deliberately ruined weaponry, knives, razors, loom weights, human remains and a selection of wild and domesticated animal bones were all retrieved from the Caburn pits. The latter do not exactly comprise a ‘smoking gun’ for ritual deposition, but the former – all of which are items that could still be of use at the time they were thrown away, are perhaps more indicative of an offering. Sue Hamilton has suggested that the deposits indicate a dual use for the pits and hillfort: a focus for communal storage, and a focus for communal rites of deposition (3). 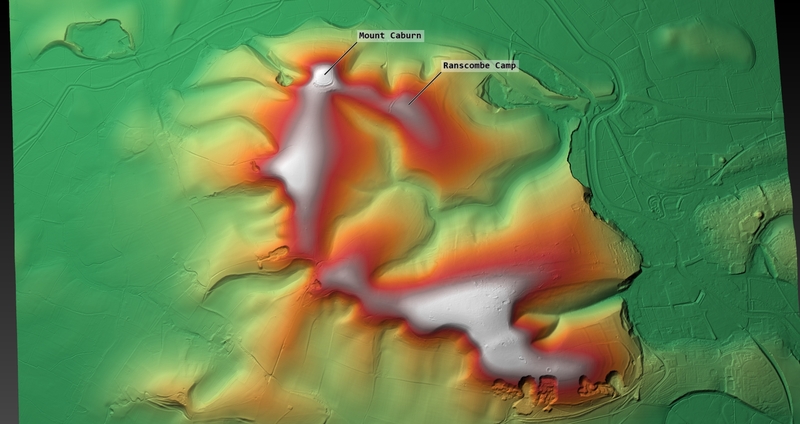 Mount Caburn Hillfort Ramparts (2). Mount Caburn Hillfort Panorama (01). Mount Caburn Hillfort, Chalk Path. Mount Caburn Hillfort Ramparts (3). OS coordinates: TQ 4443 0891. Nearest town/village: Glynde. (1) Curwen, E. & Curwen, E. C. 1927. 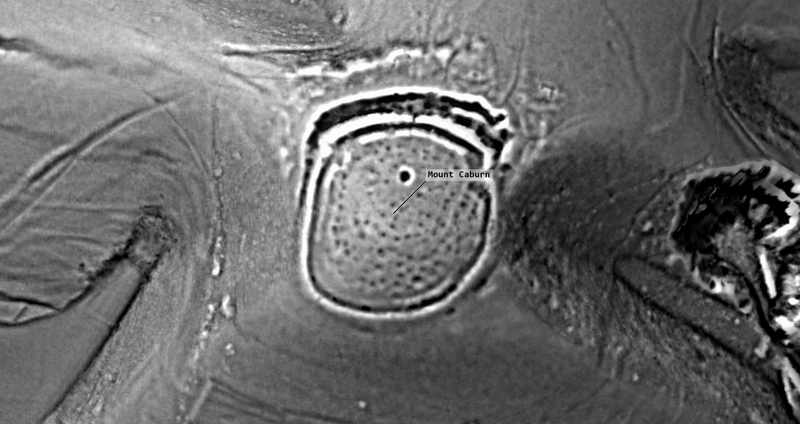 Excavations at The Caburn, near Lewes, SAC 68, 1–56. (2) Drewett, P. & Hamilton, S. 1999: Marking time and making space: Excavations and Landscape Studies at the Caburn hillfort, East Sussex, 1996–98. Sussex Archaeological Collections. (3) Drewett, P. & Hamilton, S. 1999: Marking time and making space: Excavations and Landscape Studies at the Caburn hillfort, East Sussex, 1996–98. Sussex Archaeological Collections. The archaeologists of the most recent dig did a “shout test’, used to determine the workability of hilltop forts for mutual communication, as if you can’t shout a simple command or message to someone not far away as the result of the sound being carried away on the breeze, the shape of the place makes a defensive use unlikely. 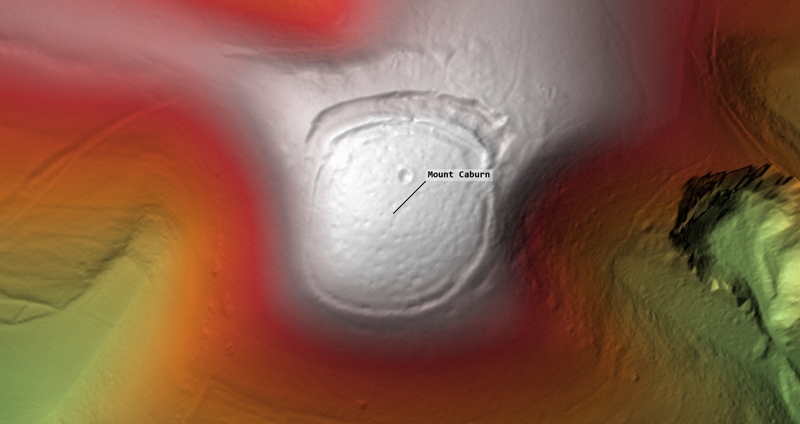 Caburn is above all else, domed, and as such very unusual in any defensive role (most hill forts have flat tops). The shout test also confirmed this was probably not built as a defensive site at all.